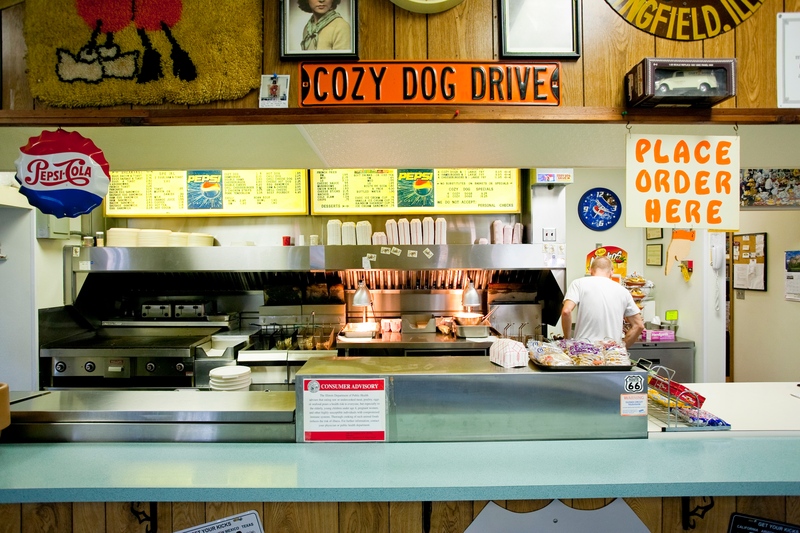 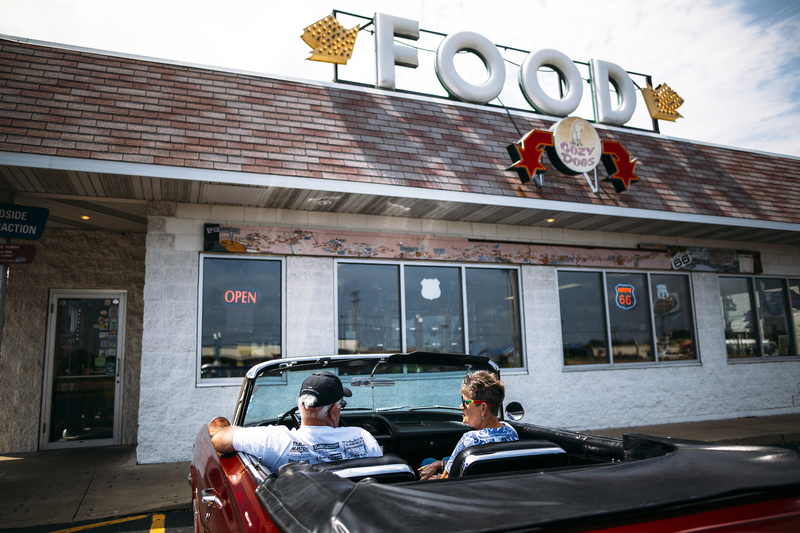 This traditional Route 66 diner became a part of the history of The Mother Road, and the history of Springfield, when, in 1946, inventor Ed Waldmire introduced the "Cozy Dog" - the famous "hot dog on a stick." 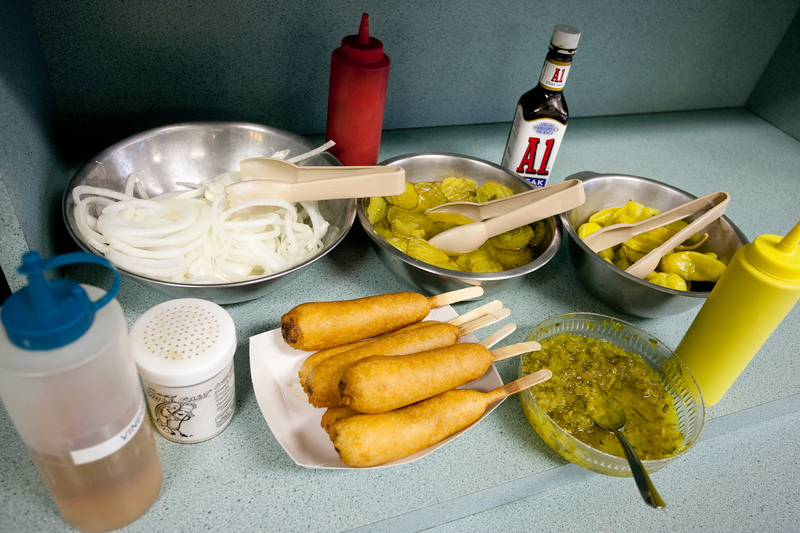 The Waldmire family still makes this delicacy daily, Monday thru Saturday. 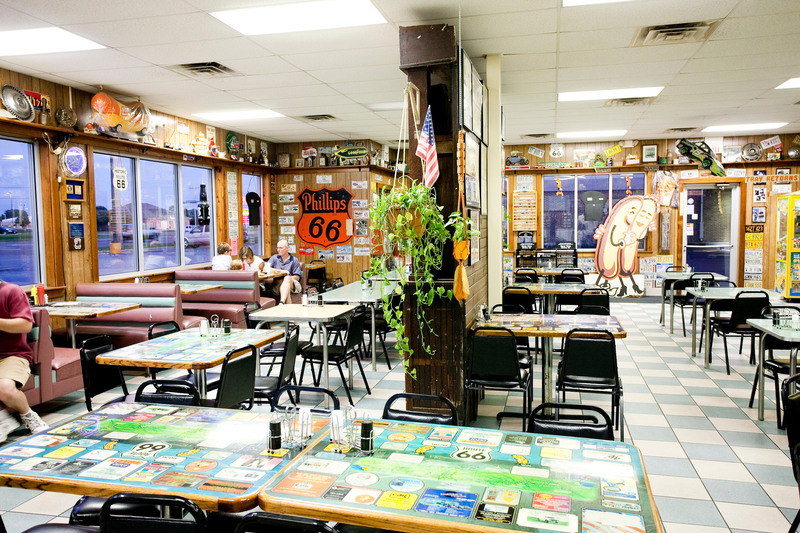 Inside the diner, located on Old Route 66 since 1949, you'll find an amusing selection of Route 66 memorabilia, souvenirs, and delightful taste treats.